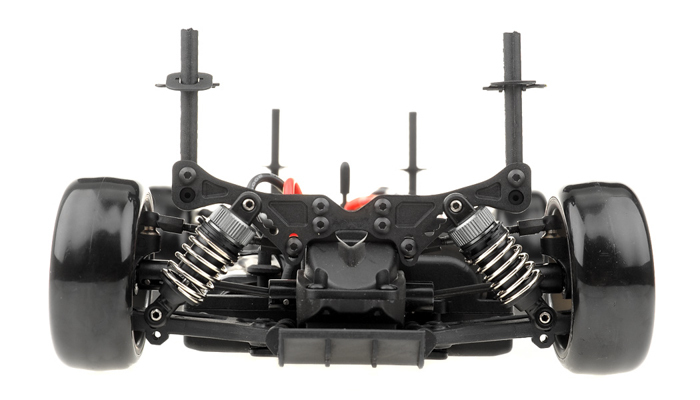 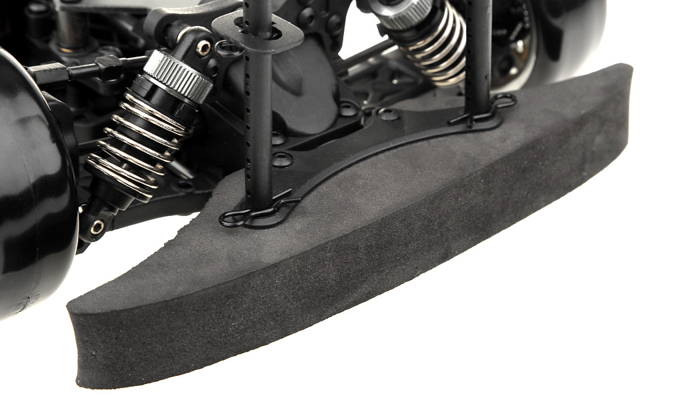 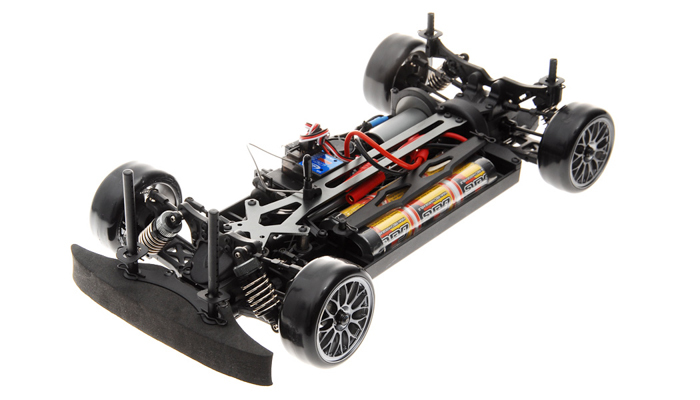 Team Exceed RC has taken steps up with the most successful drift car platforms yet and adapted it for intense wheel-spinning action. 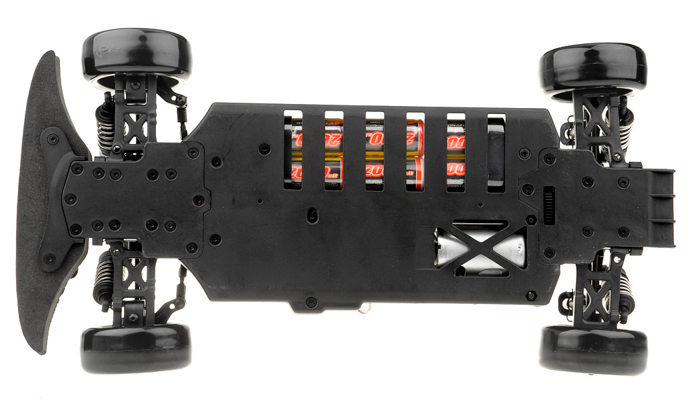 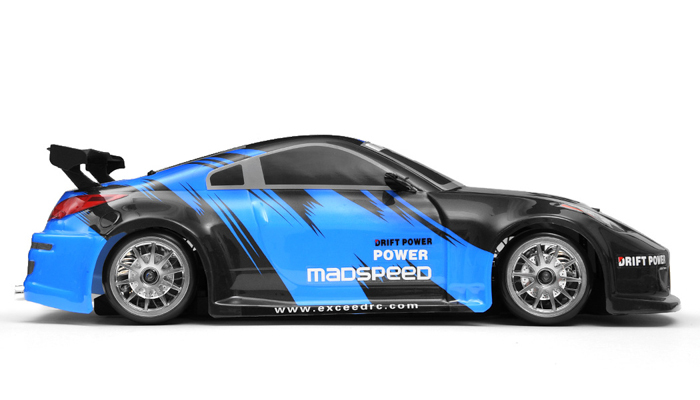 The result is the MadSpeed Drift King Brushless Drift Car. 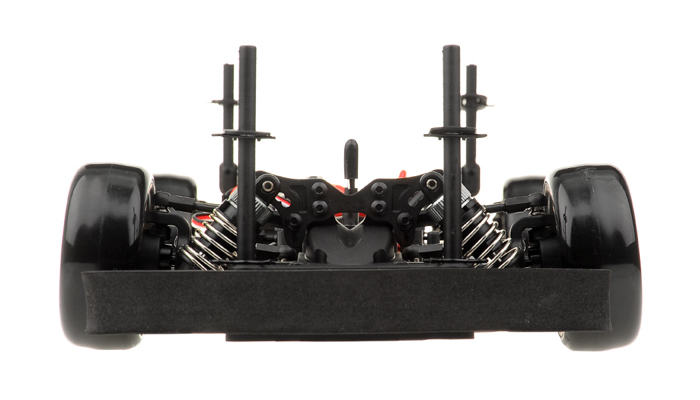 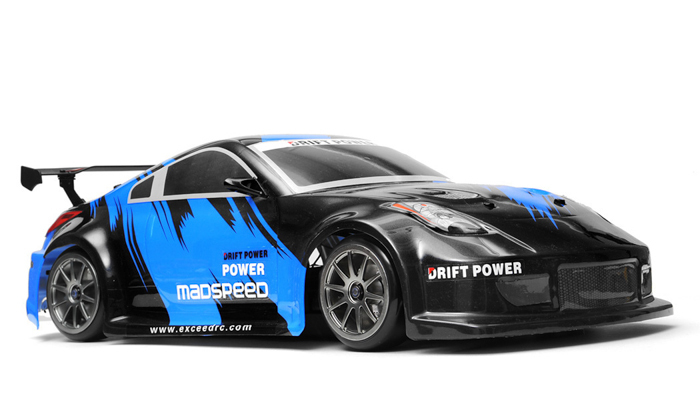 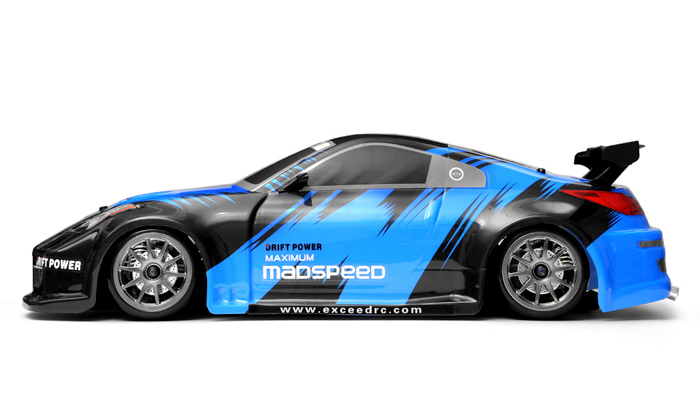 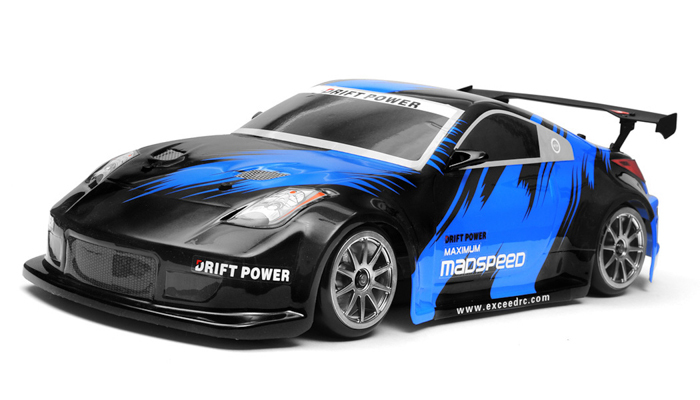 Ready to hit the streets right from the box, the MadSpeed Drift King Brushless Drift Car packs a long list of features and a distinctive look that will leave the competition in the dust. 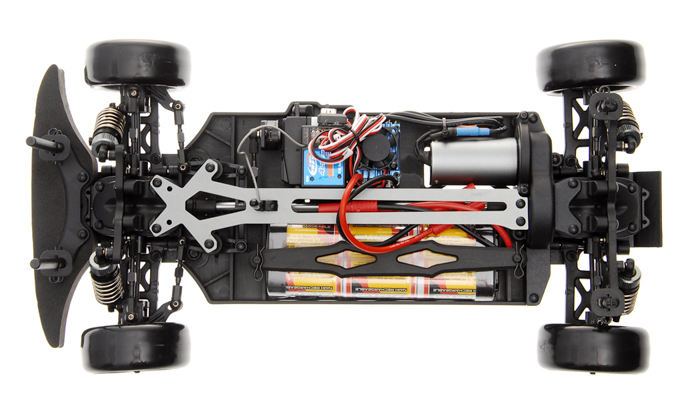 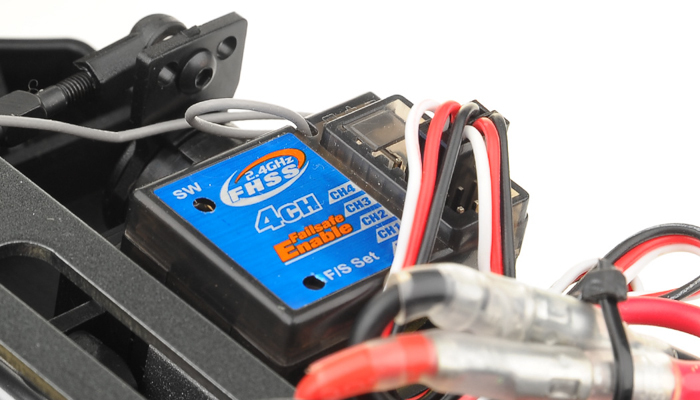 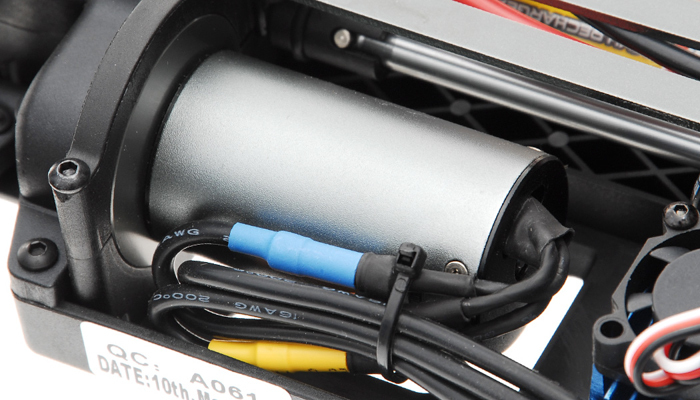 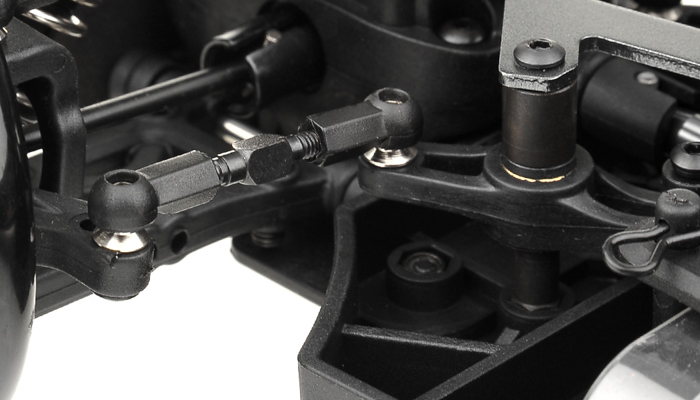 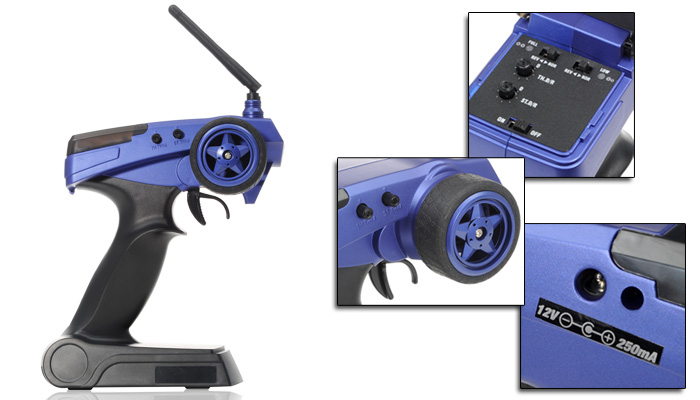 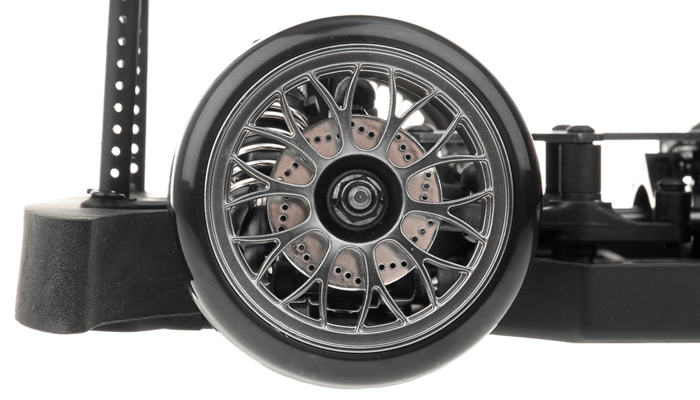 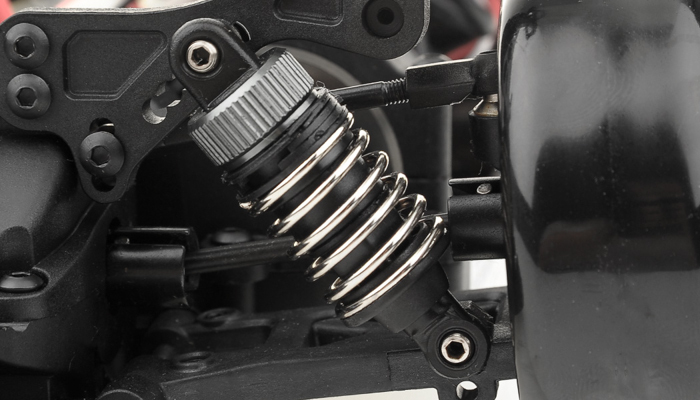 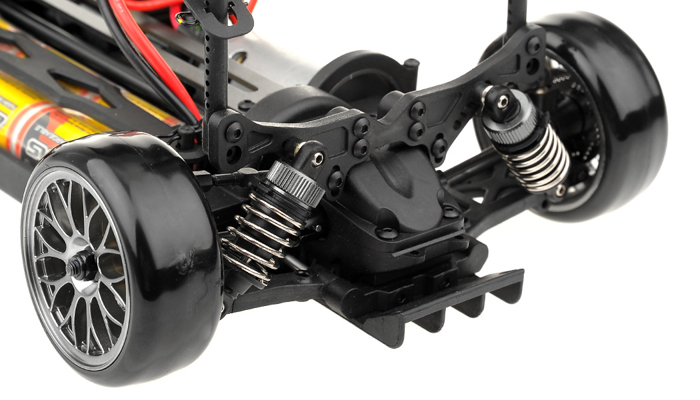 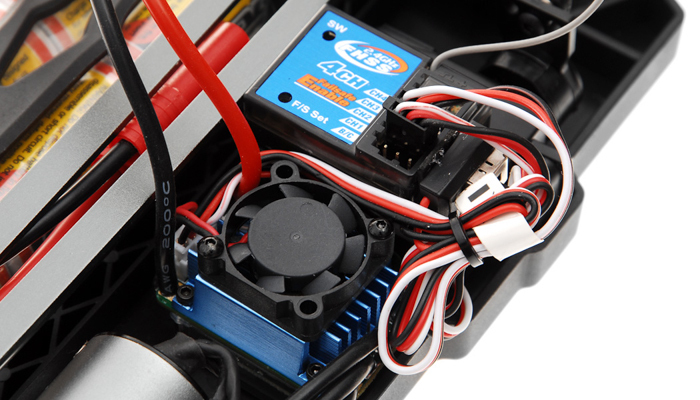 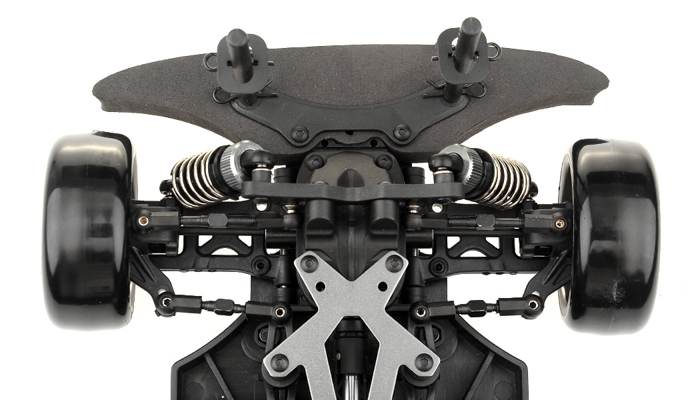 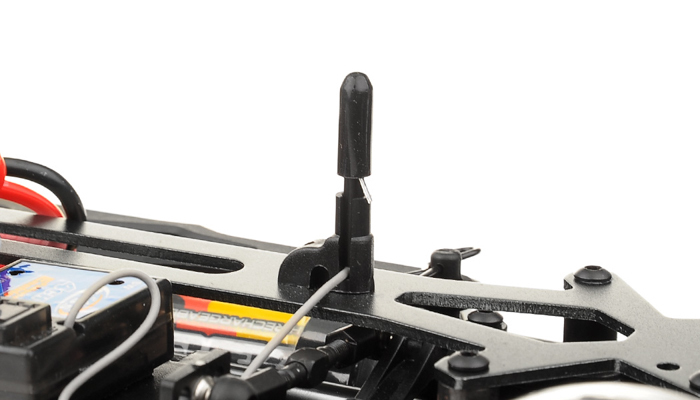 Power is routed through a high performance motor and electronic speed control, while a 380 3000KV Brushless motor and 35A Brushless ESC offers the tire-shredding torque and RPMs you need for high-speed drifting. 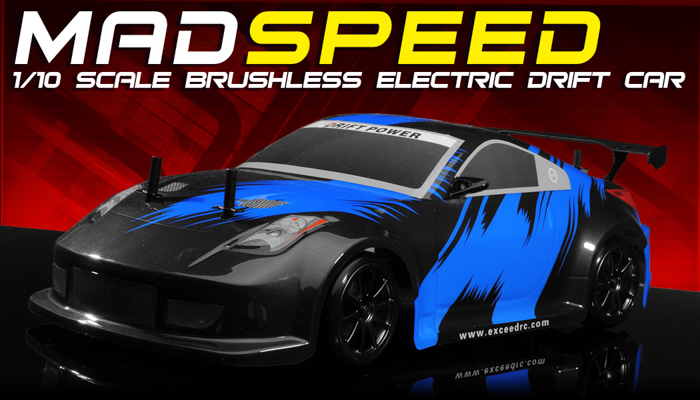 In addition to the unmatched power and ease of use, the Brushless MadSpeed Drift King looks eye catch on the road that everyone wants one. 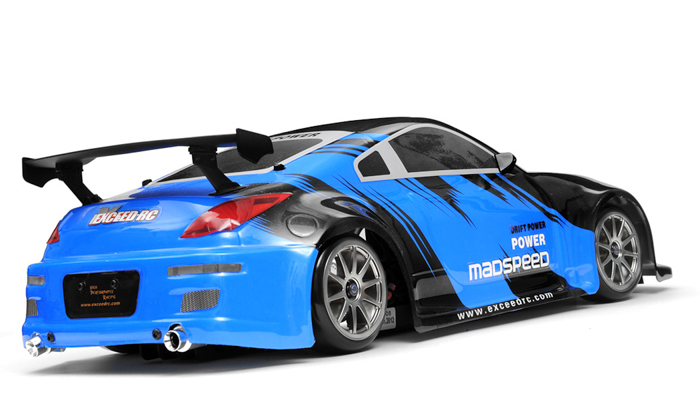 The prepainted body features detailed side mirrors, a rear wing, chrome exhaust and more, for a true street machine that can turn heads and take home trophies.